We offer the finest in live musicians, bands, orchestras, vocalists, groups, duos, trios, quartets, unique acts, local, regional, national and international. Trust us to select the most exclusive talent for your event. The Very Best in Flamenco/Spanish Guitar! 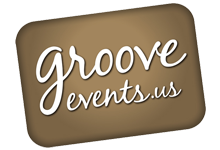 Guitarist from Groove Events on Vimeo. Our guitarists are classically trained and are as hip and modern as they come. They are able to fill the room with elegant light music. The french Horn Collective is made up of Miami Beach and Boston area Berklee grad musicians. They are eclectic, hip and different! The band is made up of Miami Beach & Boston Berklee grads with skills & style beyond compare. One of our most requested for your next event! The Dream Team Band is a super band made up of all stars from 3 legendary Boston bands. They are R & B giants. This band will get you dancing! Nightlife Jazz is an unmatched jazz group led by group leader UV. The band is on point and tight. REAL PROS! Artist Raphael is legendary in the Flamenco guitar world, local to Boston, he can bring any event to life, with congas or other ideas, maybe a dancer! as relaxed and as cool as they come, these berklee grad musicians are truly passionate about their music. The crowds rave about them! a fantastic string quartet with the string quartet channel and a great example of the elegance that a string quartet will have at your wedding! Stan Johnson is one of the very best band leaders in the industry. Stan is recognized by his peers as the jazz man's horn man. He blows a great horn! The Fabulous Mudlow Sisters are the real Deal. Twins with powerful vocals and a stage presence to keep the people dancing all night long. This band is the perfect blend of 70's and 80's R&B and dance classics. Pair them with one of our DJs for the best results. Exclusively from Groove Entertainment!